Zarjaz 30th Anniversary special- SOLD OUT. I ‘think’ I’ve said this before, but I’ve just been told by Peeps that the last copy of the Zarjaz 30th Anniversary special has now been dispatched from FQP. This means that the only issues of the previous run of Zarjaz available are: 0, 1, 2, 3 and 4. Numbers are pretty low for all of them but a couple have less than five of each left. These issues are not under my control- so no plans exist for possible digital editions as far as I know, therfore when they are gone- they are gone for good. Courtesy of artist Stewart Moore! 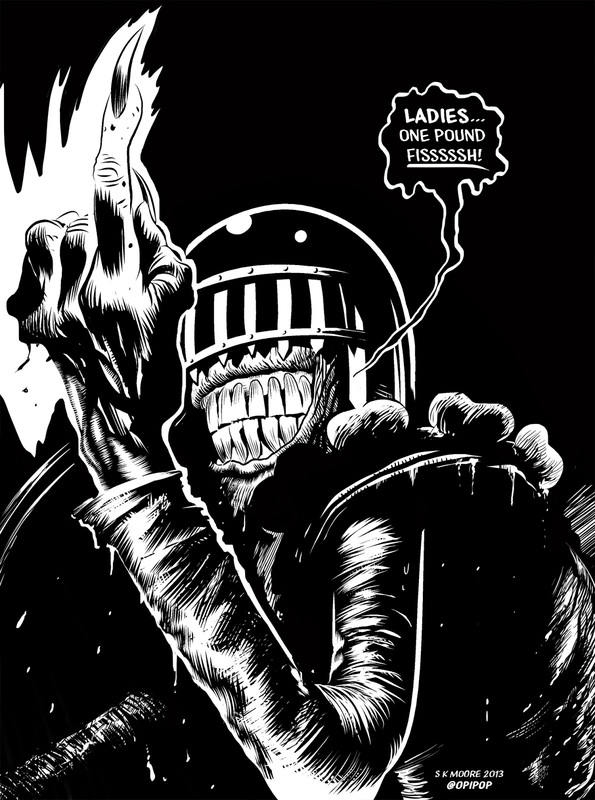 As usual, if anyone out there has a copy of Zarjaz 17 and wants to mail me a review, I’ll be happy to host it. 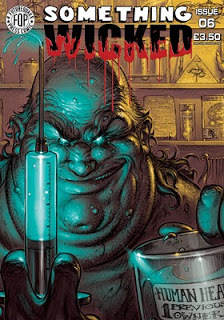 First up here is Rich McAuliffe from Everything Comes Back to 2000 AD. REVIEW. Cheers Rich! Something Wicked 06 has sold out. Launched in 2010, this was a favourite issue of mine and so a massive thanks to all who bought copies. Remember folks, FQP do not reprint comics- once they are gone, they are gone. 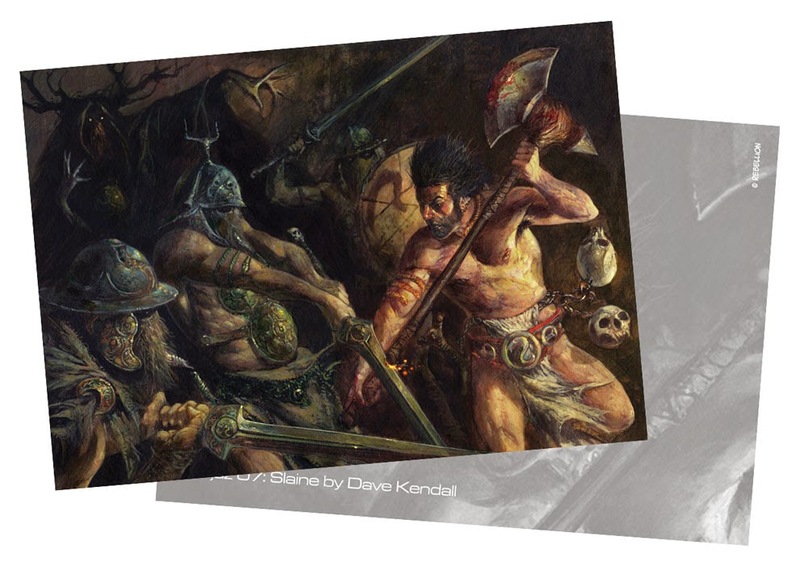 New from FQP and only available in a limited quantity; the first set of high quality art cards from ZARJAZ! 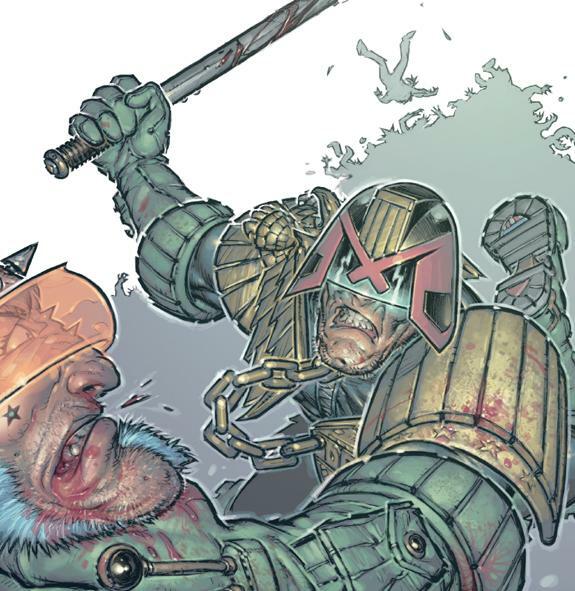 Featuring Judge Dredd, Rogue Trooper, Slaine, Robo-Hunter and the A.B.C. Warriors these are presentations of classic covers from Zarjaz history and only 100 of each have been made. These cards will not last forever and will not be reprinted. International Aces is a new series of original Graphic Novels by UK creator and friend of FQP, Chris Geary. Follow the link for more, but this is a project Chris has been working on for four years. I have volume 1 on the way, so hopefully a glowing review will follow. Picture the scene: Saturday morning, postie delivers the prog, kettle goes on for my prog reading coffee and I got ready for my usual visit with Tharg and the guys. The prog was 1821, the 36th birthday prog and I was looking forward to something a bit special. I had no idea. You see that bird headed chap? The one Johnny Alpha is talking to? Well that chap is named Whistlerby the good muties of the Doghouse and he’s got a bit of history. Y’see, back in 2003 when a younger droid than I was just starting to think about making some comics of my own, I had the bright idea of putting a few strip up on the 2000ADonline message board to see if anyone out there liked my stuff. I thought about what to draw and looking through my piles of doodles I came across a rough that grew into Whistler. A few shorts followed over the course of a year and I put out the collected strips at Dreddcon in 2003, at the same event where I was first published in FutureQuake. The following year I, along with my good compadre’s took over FQ and the rest was history. I left Whistler taking a job as a combat instructor on the Doghouse. I’m sure there is a good story to be told that can explain just how a mighty organisation can work. Now, though, I know a little more about Whistler than I did. In prog 1692, he is seen as part of the group of muties apprehending Feral in a falshback recounted by Middenface Mcnulty. This paces Whistler on the Doghouse after it was rebuilt by the GCC, so I would assume that Whistler was back in action. Then, as is seen at the top of the post Whistler was involved in the second battle of Milton Keynes. 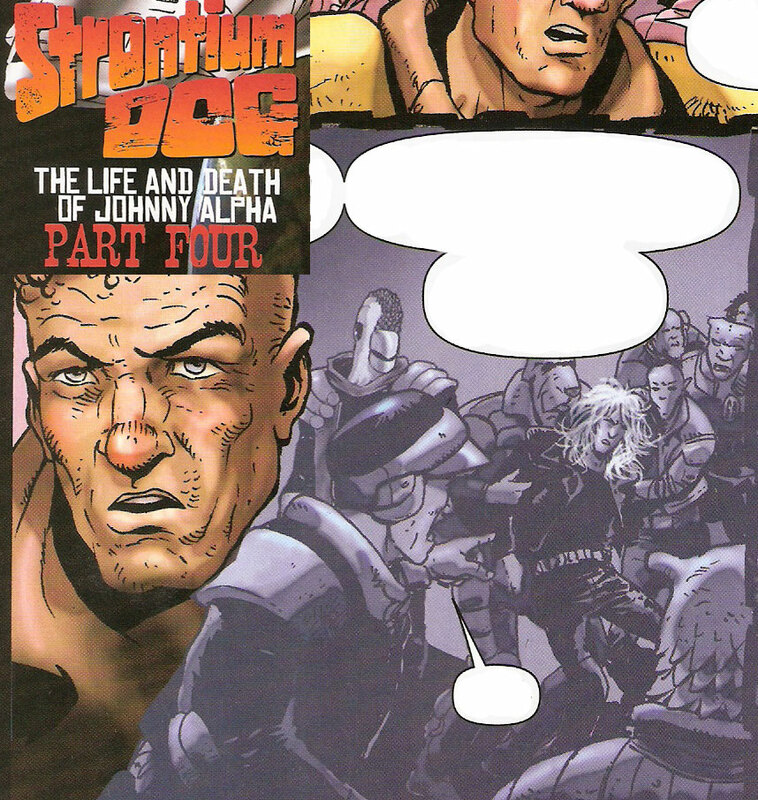 I’m sure that at some point I’ll realise what happened to Whistler in the gap between stories and Dogbreath will be home to those tales. Thanks to John Wagner and Carlos Ezquerra for the wonderful moment seeing my fan fiction cross over into canon.